Taking advantage of the huge solar potential in the desert, Tierra Atacama located in San Pedro de Atacama, Chile, has become the first hotel in Chile that will produce solar electricity with a hybrid system that can supply 100% of the energy demand during the day. 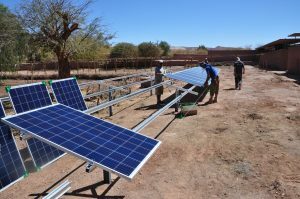 With the experience of German company KRAFTWERK, Renewal Power Solution, the hotel is expanding its existing PV plant and adding a storage system which will allow the off-grid hotel located in the Atacama Desert to realize 60-65% annual diesel savings. Tierra Hotels has been a pioneer in the usage of renewable energy since 2013, when it commissioned KRAFTWERK to design and construct its first PV plant – a 23 kWp PV-diesel hybrid system with 96 panels that has since been covering up to half of the hotel’s daytime electricity needs. Since then the hotel has saved a significant amount of diesel. Now Tierra Atacama will increase the system to 570 P, 5 x, and a battery bank with a capacity with a storage capacity of 335 kWh, covering 927 square meters with solar panels. Together with QINOUS intelligent energy storage solutions provider, KRAFTWERK will implement a high-efficiency lithium-ion battery system with a capacity of 335 kWh and a power management system that extends the hours of operation with a 100% solar power, plus an uninterrupted supply that extends the life of existing diesel generators. “We are very motivated with the results of this project that matches with our promise to protect the environment. To innovate with a hybrid system is a great advance in our procedures, and we hope to continue development solar projects together with Kraftwerk, who give us the necessary confidence to invest in sustainable technological,” stated Miguel Purcell, Managing Partner of Tierra Hotels. With an initial investment of $560,000, this solar project will achieve a reduction of carbon emissions between 320 – 350 tons of CO2 annually, while avoiding burning more than 110,000 liters of fossil fuels annually. The expansion of the Tierra Atacama Hotel & Spa’s PV plant was selected as a showcase project by the German Energy Agency (dena). The project is now part of the worldwide Renewable Energy Solutions (RES) Program 2015/17, which is coordinated by dena and co-financed by the German Federal Ministry for Economic Affairs and Energy (BMWi) within the German Energy Solutions Initiative. 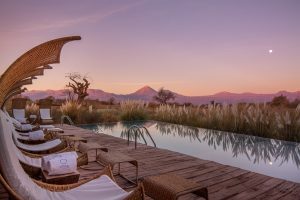 Tierra Atacama is part of the National Geographic Unique Lodges of the World collections which chooses hotels that are leaders in sustainable tourism with a strong connection to local communities and with their environmental protection. The Tierra Hotels group was also chosen as the most sustainable tourism business by the Federation of Tourism Business of Chile (Fedetur). In the international year of Sustainable Tourism, the expansion of the hybrid solar plant becomes a milestone for the Tierra Hotels family. 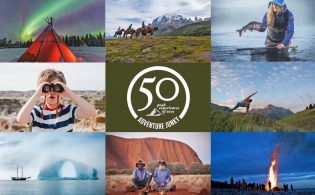 In their vision, tourism should be used as a tool of change to awaken sustainable awareness, connecting travelers with the native beauty of the country. 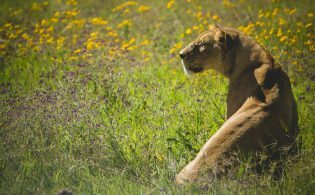 “Being in nature, it is easier to understand that we inherit a land, that we must care for a legacy. Only then will future generations be able to continue enjoying the natural and cultural heritage we have today,” says Miguel Purcell.